Mandarin Oriental Hotel Group today announced that Michael Hobson will retire as Chief Marketing Officer on 31st December 2018. He will be succeeded by Jill Kluge. 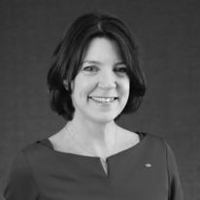 Jill Kluge is currently Mandarin Oriental’s Group Director of Brand Communications overseeing all aspects of the Group’s corporate communications strategies including international advertising, digital marketing, global public relations, brand identity and corporate communications. Jill joined Mandarin Oriental in 1991 in Hong Kong as Group Public Relations Manager and transferred to the Group’s corporate office in London in 2001. Prior to joining the Group, she held sales and marketing positions in a variety of international hotel brands in the UK and Asia. Are you with Mandarin Oriental? If you are a member of Mandarin Oriental you may be interested in learning how to optimize your content on our network.